Intending on keeping a high profile with MWC’s impending arrival, Chinese company Xiaomi took the wraps off its flagship smartphone ahead of mobile’s biggest tradeshow. 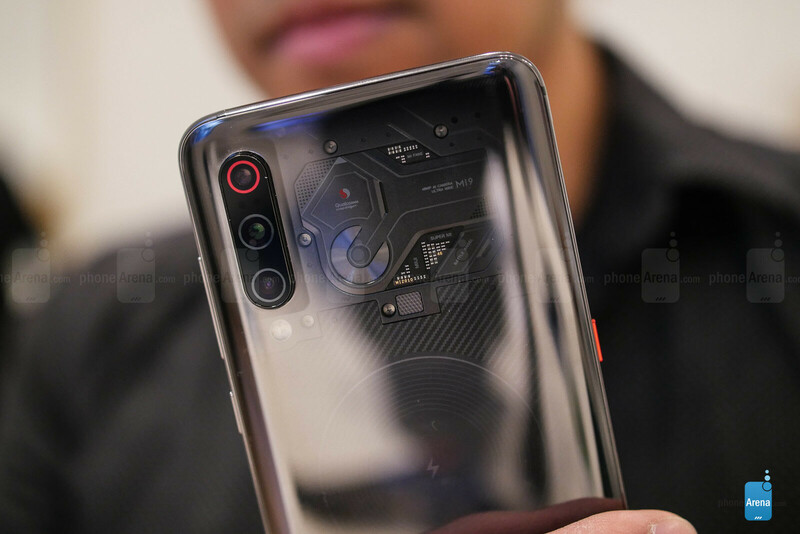 The Xiaomi Mi 9 has been leaked frequently in the last week ahead of its official announcement, but we managed to get a solid look at this up and coming powerhouse that’s rocking some impressive gear. Without question the biggest attention grabber for the Mi 9 is its design, which at first reminded up of the Huawei P20 Pro last year – due in part to how the Mi 9 carries a triple camera system, as well as a familiar looking paint job. Yes, the glass meets metal design of the Mi 9 isn’t all that original, but it makes it up with its eye-catching paint jobs. The one that stands out from the pack is Ocean Blue, which harkens to the gradient finish we’ve seen Huawei implement in its phones. Still, it’s a polarizing thing to see with our eye in real life, as the colors dazzle and cast this hypnotic spell over us. Even more impressive is the transparent glass finish of the Explorer Edition of the Mi 9, which reminds us of the components of a hard disk drive. It certainly looks cool and definitely fetches a lot of attention! 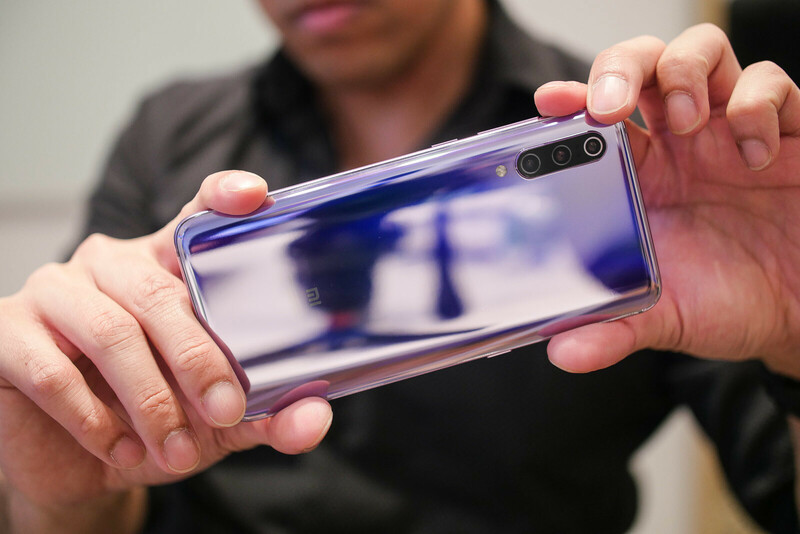 The HTC U12+ most recently offered a transparent casing, but Xiaomi’s implementation is definitely more alluring because of how it emulates the look of a hard drive. Even though the components in there are all static and merely for show, it’s still cool looking nonetheless! Beyond that, the Mi 9 brings to the table all the modern design characteristics we crave – like a premium construction, curved edges, and an edge-to-edge display. Speaking of that, the Mi 9’s 6.39-inch 2340 x 1080 AMOLED display takes notice for its immense iridescence. Colors are deep and vibrant, while also retaining its clarity at various angles. These qualities from an AMOLED panel should be familiar, since this one comes to us courtesy of Samsung! 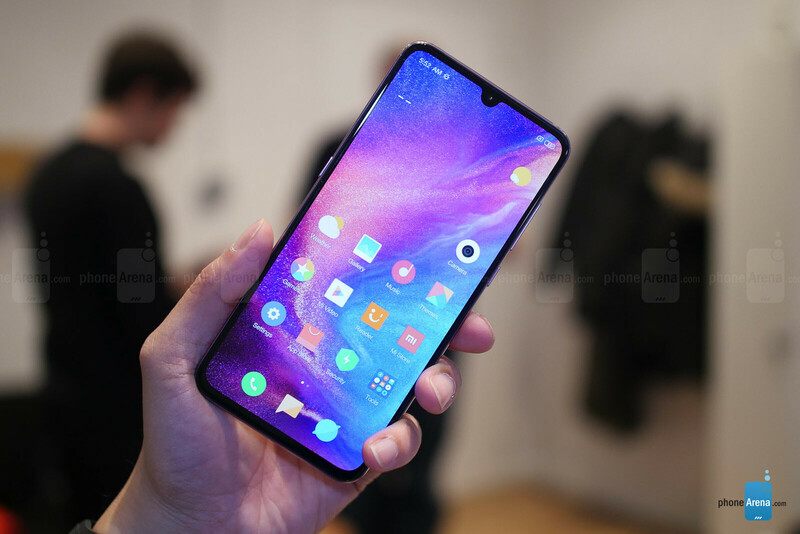 As you can tell, too, Xiaomi has opted to go with a tear drop shaped notch with its display. We’re pleased by this particular decision, mainly because it doesn’t obstruct much of what’s being shown on-screen. 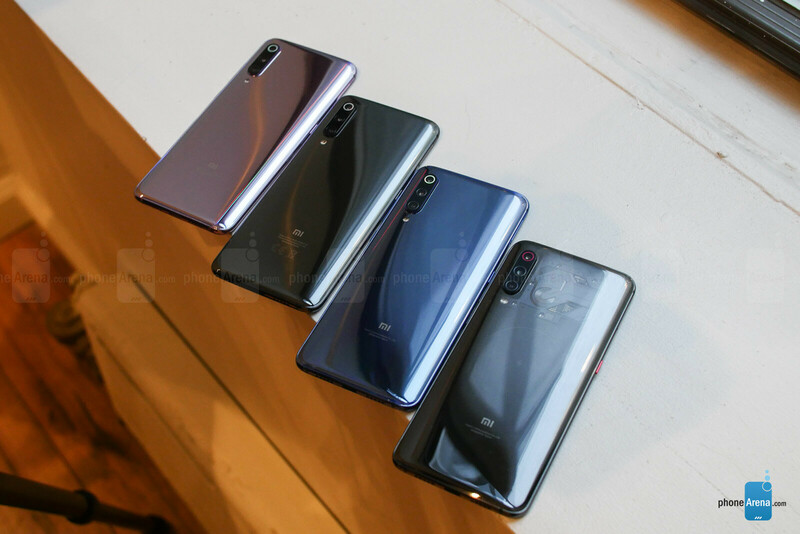 In competing against its rivals, the Xiaomi Mi 9 ensures it’s coming to the party fully loaded with the best arsenal out there for taking photos. It features a triple camera system, which has all of the trimmings and comforts we’d expect in a phone like this. The main attraction amongst the trio is the 48MP primary Sony IMX586 sensor with an aperture of f/1.75. It’s paired with a 12MP telephoto camera, as well as 16MP ultra wide-angle with a 117-degree field of view. All of this is making us drool, given the level of utility we’re given with a package like this. Of course, we’re eager to see how its performance stacks up against its contemporaries in the space. We’re particularly intrigued by the 48MP camera, just because we’ve seen something similar with the recent Honor View 20. For what it’s worth, it does indeed offer a smidgen more detail than normal-sized snapshots, but it’s anyone’s guess as to how it’ll perform with the Mi 9. We’re not totally sold by the pixel crushing resolution offering just yet, unless it proves to offer a substantial level of improvement. 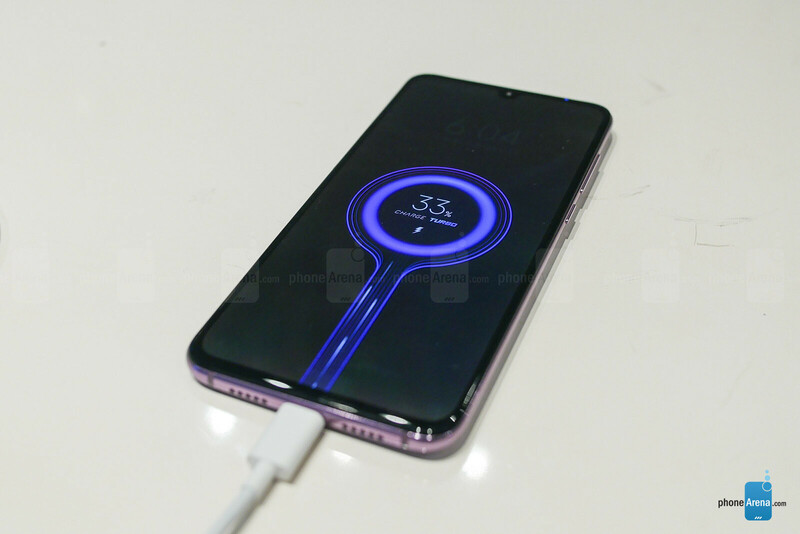 One aspect that caught our attention about Xiaomi Mi 9 was its charging capabilities. Endowed with a 3300 mAh battery cell, the Mi 9 features a TÜV Rheinland Certified Safe-Fast charge system, which displays this nifty animation when it’s connected to the included 18W charger. Again, it’s small details like this that we appreciate from a manufacturer that’s relatively unknown here in the US. Moreover, Xiaomi will be selling its own proprietary wireless charging pad that’ll work in conjunction with the phone’s maximum 20W wireless charging capability. Not ending there, Xiaomi will also have this in-car wireless charger that relies on sensors to mechanically open up the cradle to accommodate the phone. It may be a minor thing in the greater scheme of things, but this kind of implementation indicates that a lot of thought is put behind these accessories. It could’ve been another boring car charger of some sort! Instead, it matches the phone’s cool demeanor by offering that convenience of wireless charging while automatically opening up to hold the phone in place. The Xiaomi Mi 9 looks like a fresh new player on the scene, but the more we got to check it out, the more we began to feel as though it’s a phone that’s playing catch up. Sure, it’s carrying some new and exciting features, however, they aren’t entirely new. For better or worse, they’ll allow the Mi 9 to stay in contention against the other handful of flagships that are expected to arrive during the first half of this year. In the back of our mind, though, we feel as though they could’ve added more things to it – or even enhance other aspects of the phone. For us, it’s a glorified Huawei P20 Pro. Despite this, the biggest question left unanswered is its pricing. Considering this is Xiaomi we’re dealing with, we’re expecting them to be more aggressive – meaning, undercutting the competition would do wonders in getting this smartphone to be noticed on a grander scale. And ultimately, this is the last piece of the puzzle that may substantiate its package! If it’s priced along the same lines as other flagships, say around $900 for the base model, then it’s no doubt going to have a tough time competing on the market. However, if it’s able to push under the $750 mark, then we have a serious contender here, especially knowing it’s powered by the Snapdragon 855! Everything about it so far screams high-end and drool worthy, but if it’s just playing on an even field with its specs and features, pricing will definitely go a long way to give it precedence amongst the competition. But still... Smaller battery. No OIS. No headphone jack. No IPX rating. Xiaomi? Nein. I know that the see-through ones circuit board is faked, but it still looks stunning ngl. Same here, I'll take it over a true see-through back, as it looks much more modern and sophisticated. Istead of a stupid triple camera system, it was much better if they used a single camera with optical stabilization. But of course, customers need numbers on paper so they keep using many parts with inferior technology in order to keep costs down. Early reviews note the bad image quality in low light. Can a single camera phone shoot optically zoomed in/ultra wide angle photos though? And low light performance can be always improved with Google Camera port on Xiaomi devices. What reviews? Just finished watching Mrwhosetheboss's video about, and I was pleasantly surprised by the superb image quality of this phone. That's a lie. Why shoot at xiaomi for no reason?? Finally a comment that speaks the truth. Also the lack of OIS will mean very shaky videos. Seriously were they high when they decided to omit the OIS? Also smaller battery, no headphone jack, no stereo speaker. I was really looking forward to this phone. But forget it I am out. It's 2019 already, I have seen cases where EIS beats OIS, don't jump into conclusions before seeing real life results. But you crop the picture. Can't deny that. looks very nice. it’s notch is much nicer than Apple and samsung’s punch-hole design!
" In the back of our mind, though, we feel as though they could’ve added more things to it – or even enhance other aspects of the phone. For us, it’s a glorified Huawei P20 Pro." If you felt the price coming for this phone you would not say that. There is virtually no phone on the market with official support, and in Europe too, that can provide best bang for the money. So adding something extra features would inevitably affect phone price and not neceserelly bring desired value. Very clever move from Xiaomi. Fruit Company getting hit from al corners. Soon the fruit will be overdue! Nice looking Chinese phone, but I would never buy one. Guess what, your precious (fruit) phone is also Chinese!